Did you get all your festive knitting done on time? Or were there a few IOUs...? Robyn also knitted up very fast (which I think is down to my Karbonz needles). She is a friend for another Arne & Carlos doll, Elizabeth. 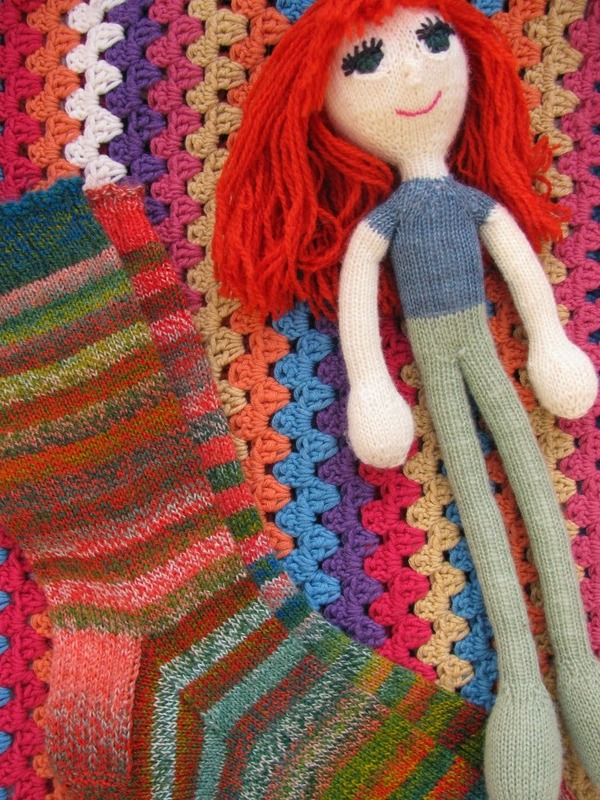 These dolls are abit fiddly to knit. Because of my 'looseness' I have to use 2mm needles but there is no sewing up! Now on to 2014 projects!